The University of Pittsburgh's Department of Physics and Astronomy has a long and distinguished history of research and teaching from its founding in 1867 and its first chair Samuel Langley through to today. Currently the Department leads research that promise a deeper understanding of the Universe including in areas such as astrophysics and cosmology, condensed matter physics, and particle physics. 1867Founding of the Department of Physics and Samuel Langley served as its first chair, Pittsburgh (Pa.). 1946 – 1948Elliott Montroll was on faculty. 1951 – 1974Thomas Donahue was on faculty. 1958 – presentBernard Cohen has been on faculty. 1960 – 1965Theodore Holstein was on faculty. 1960 – presentManfred Biondi has been on faculty. 1977 – 1991James Fletcher was on faculty. 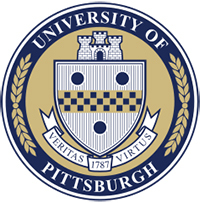 Historical information from the University of Pittsburgh Department of Physics and Astronomy, Brief History of the Department, http://www.physicsandastronomy.pitt.edu/about/brief-history-department. Received MS (1948). Associate Professor; Professor of Physics; Professor Emeritus of Physics; and Director, Scaife Nuclear Physics Laboratory. Assistant Professor to Associate Professor of Physics; Professor of Physics; Director, Laboratory for Atmospheric and Space Science; and Director, Space Research Coordination Center. Whiteford Professor of Technology and Energy Resources. Served as first Department Chair. Research observatory of the University of Pittsburgh. Ben Bederson interview of Larry Spruch, Sidney Borowitz and Ed Gerjuoy [videorecording], 26 July 2004. Carl Gustav Hempel papers, 1903-1997. Norman Austern response to 1988 History of Nuclear Physics Survey, 1988-1989. Oral history interview with Brebis Bleaney, 1982 January 15. Richard Pratt papers, 1820-2005 (bulk 1920-1998). Vladimir K. Zworykin collection, 1929-1976 (bulk 1954-1971). An Outline of atomic physics / by members of the physics staff of the University of Pittsburgh: Oswald H. Blackwood [and others]. Benedum Earth Magnetism Symposium; [proceedings] / Edited by Takesi Nagata.